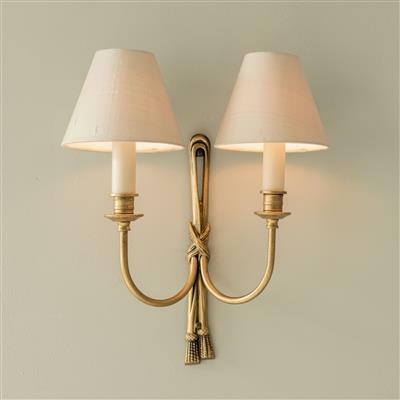 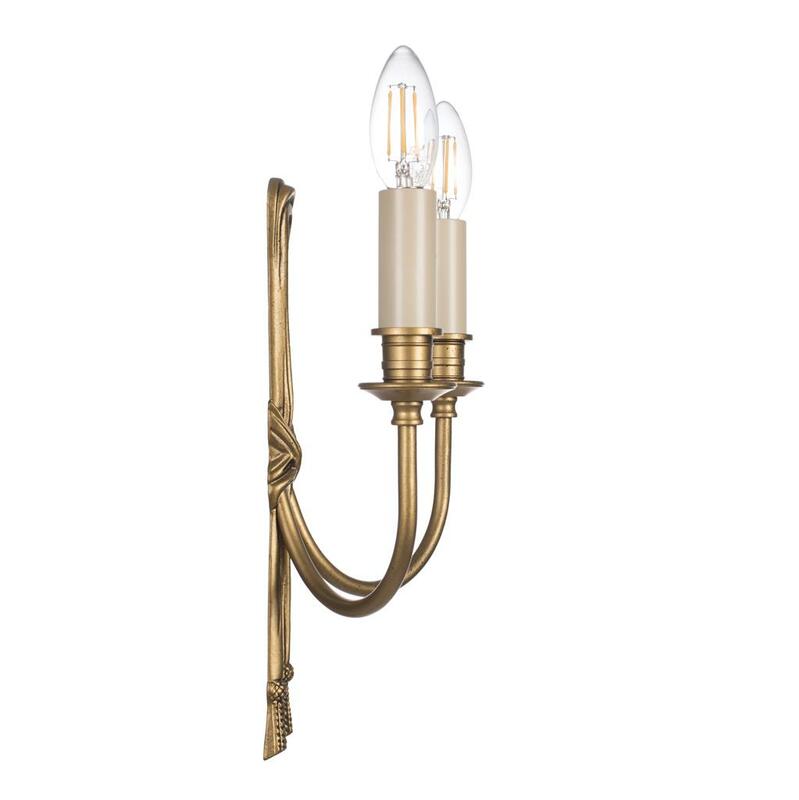 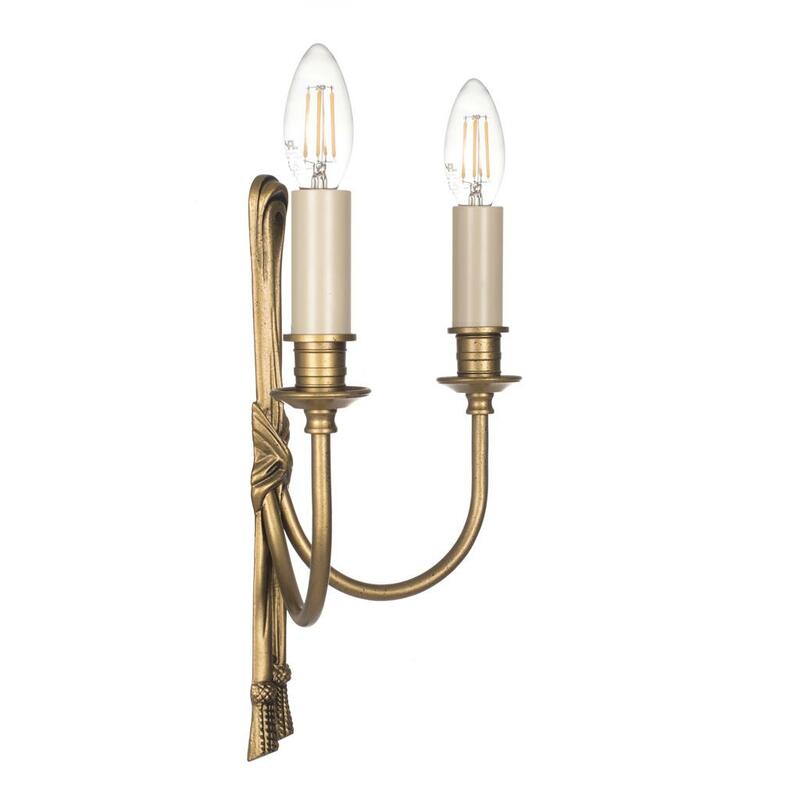 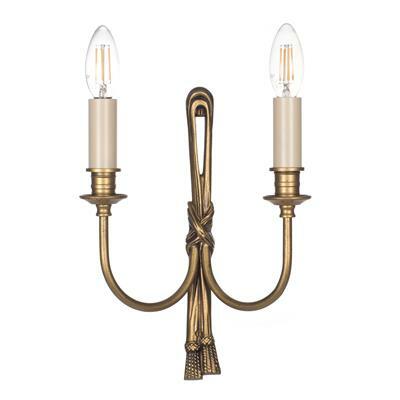 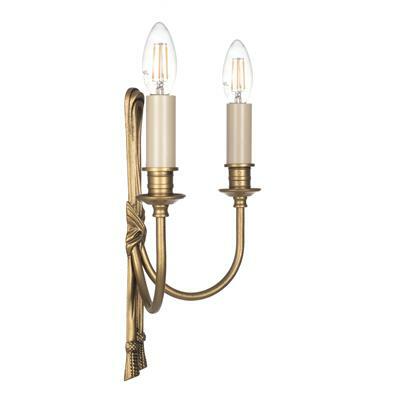 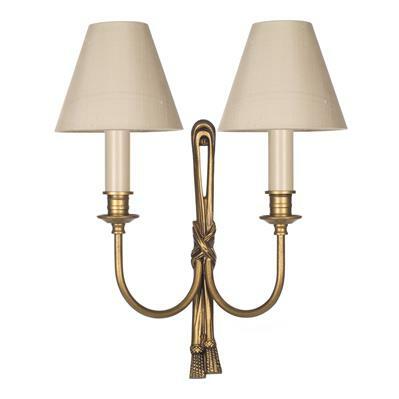 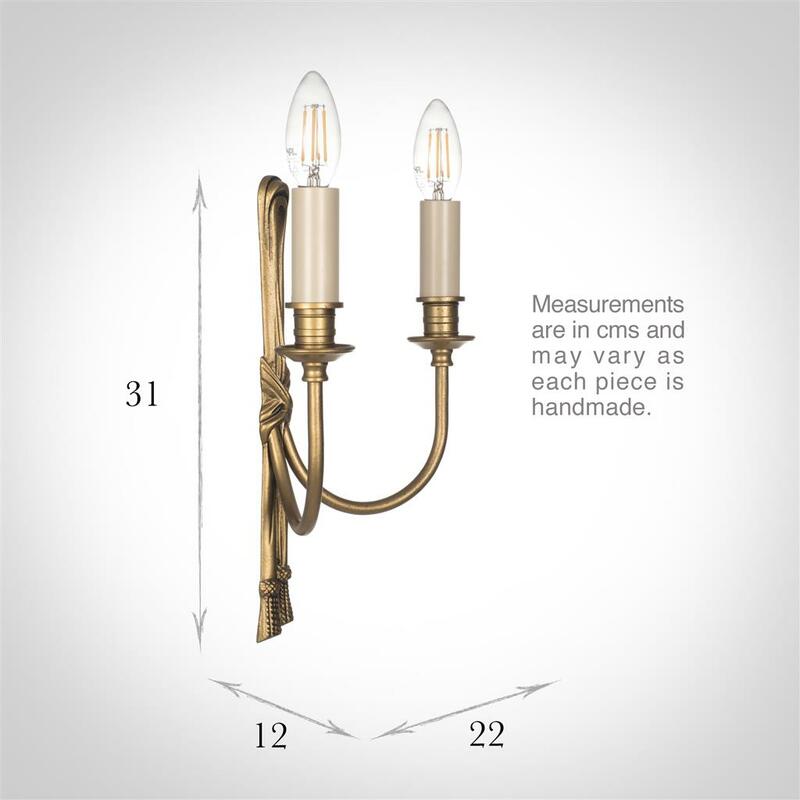 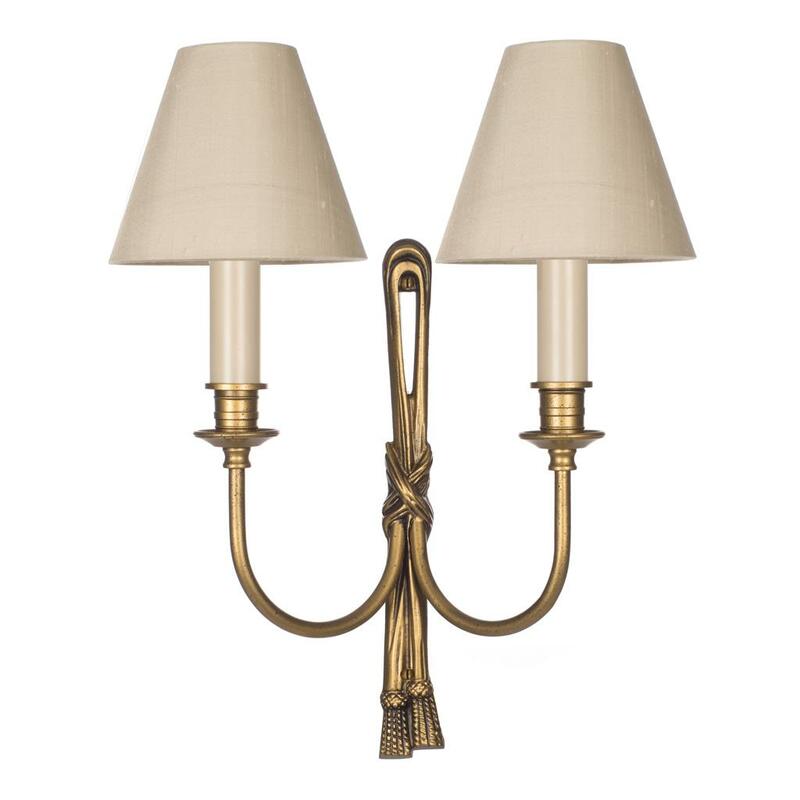 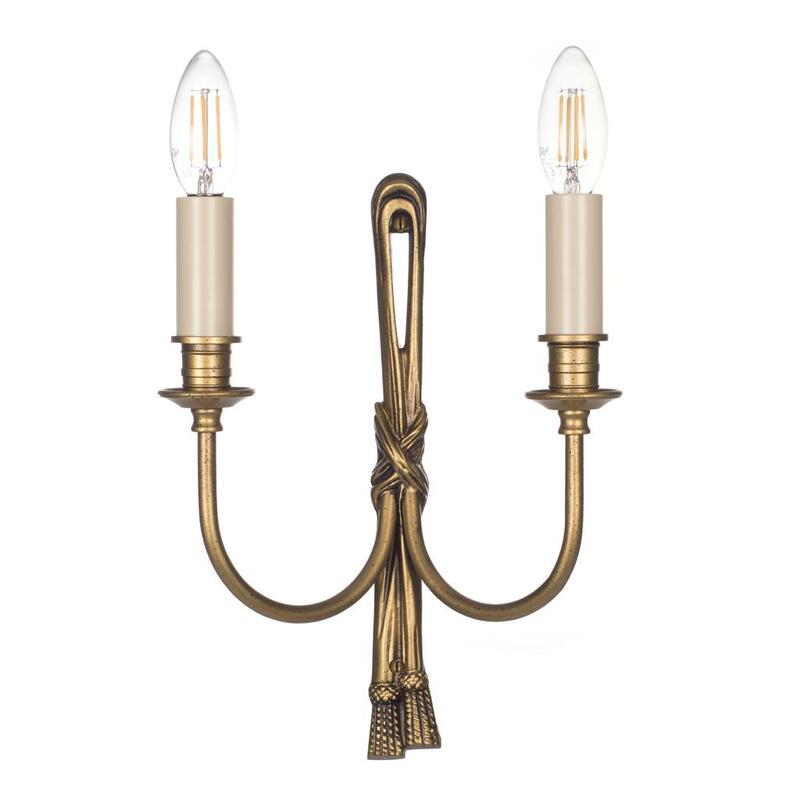 A hand cast, solid brass wall light with an intricate ribbon design and finished in old gold. A lovely wall light for the living room, dining room or bedroom. 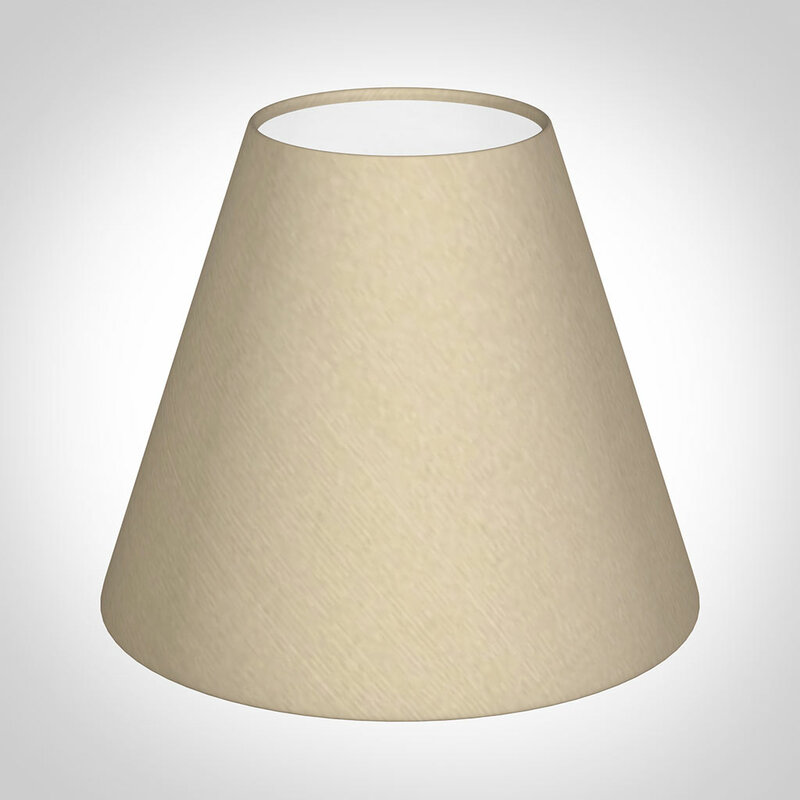 We recommend our range of LED bulbs as the perfect accompaniment to your light, and these shades.